There are actually many different ways in which one can get a new garage door. If at the moment you feel like your home budget would not bear to cope with substantial investing and money spending then maybe you should give up on the idea of purchasing new garage door and settle with some other alternatives that may lead you toward equally satisfying results. If you were thinking about purchasing a new garage door since the old ones are relatively slow and are making annoying sounds each time you put them in motion, maybe you could improve the same by getting professional service providers to service them properly or by just replacing garage door parts that are out of order. In fact quite often people give up on their garage door when all it takes to get those same doors perfectly running is a little bit of adjustment and proper and professional garage door servicing from time to time. Do not like the way your garage door looks?! If yours wishing to get new garage door has nothing to do with your garage door functionality but with you garage door aesthetics then there are certain things you can do in this area too without actually purchasing the new garage door. 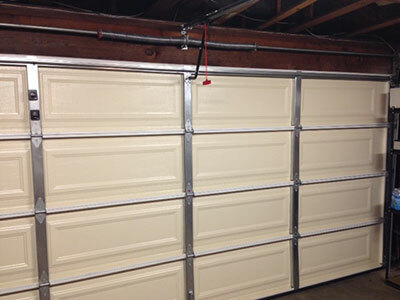 First thing you can change on your own regarding the looks of your garage door is your garage door color. You can decide to add some more color on the already existing layout or you can proceed and color your entire door. The type of color you choose should be in accordance with the materials your garage doors are made of. As far as the color type is concerned it should be decided based upon your home property and environment.